Tens of thousands of people are making a living through selling products on Internet auction sites. Hundreds of thousands of sales take place between private buyers and sellers. The range of choice available on these Internet auction sites coupled with the chance to grab a bargain makes them a very popular first port of call for many buyers. For sellers, the potential buying market available to them is too good an opportunity to miss. So whilst the vast majority of these transactions go smoothly, it's not surprising to learn that there are a few hitches now and then. It is at times like these that having a good basic understanding of your rights when it comes to Internet auctions can prove invaluable. The first point you should consider is that although a site may call itself an auction site, it does not work in the same way as a bricks and mortar auctioneer business. With Internet auctions, you buy directly from the seller and not the auctioneer. The Internet auction site acts as more of a 'notice board' where sellers can post their wares. Therefore it goes that if you encounter any complaints or problems, the seller is your first port of call. The fact that as a buyer, you deal with the sellers brings us to the second main consideration; Internet auctions and your consumer rights. Your rights will differ depending on whether you're dealing with a private seller or a business seller. Although many business sellers are honest, not all business sellers will be forthcoming in identifying themselves as such. This is because as a business seller, consumer law stipulates that you have to abide by certain legislation - more so than a private trader. Your rights when buying from a private seller are limited. On an Internet auction site, a private trader must make sure that their items are 'as described'. Rights about satisfactory quality and any right to cancel your purchase after the fact are not applicable. The type of sale you form can also affect your consumer rights. For instance, your rights in buying an auction sale and an eBay-style 'Buy It Now' sale will differ. With Buy It Now style fixed-price sales, you will have additional rights, whereas certain aspects of consumer law do not cover auction sales where items are bid on. If the item has both an auction running as well as an opportunity to buy the item at a fixed price, you will only have the additional consumer rights if you opt for the fixed price sale. Before purchasing an item through on an Internet auction site, you should first identify whether you're dealing with a business or private trader. Business sellers should, by law, distinguish their business seller status clearly before you complete your purchase. A business trader should clearly display their business name and address. Remember that any P.O. Box addresses are not valid. Any VAT numbers should also be made available to a buyer. If this information is not available, you may still be able to identify whether certain traders are businesses or private individuals. Many business sellers have large online 'shops' within the Internet auction site, and as a consequence usually have large numbers of feedback (sales). Within these shops you might find lots of duplicate items that are new. They may have use a trading name for their account, which might include a clue such as 'Ltd' in the name. The business trader may also provide links to a business website from their Internet auction pages. As a buyer from an auction site, as aforementioned, your consumer rights depend on who you are buying from, and what sort of sale you buy from. A sale from a business trader on a 'normal' fixed price sale (e.g. 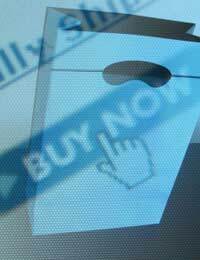 eBay's 'Buy It Now' option) will mean that as a buyer, you will be covered by the same laws that govern normal high street purchases. These rights will also apply when the auction is referred to a 'sham auction', e.g. the item has been listed as an auction, but the start price is extremely close to a 'normal' fixed price of the item elsewhere. You have a 7 day 'cooling off' period, within which you are within your rights to change your mind about the purchase and receive a full refund (providing the item isn't perishable, personalised etc). The business trader must make this clear in writing. If not, your seven day cooling off period will begin when they tell you in writing about your right to cancel, or from the day the goods are delivered to you.